Beer and burgers – now that’s a combo that simply works. Especially when it’s craft beer and handcrafted, gourmet burgers. So we teamed up with the Black Oystercatcher (the home of Fraser’s Folly Craft Beer), to create a couple of perfect beer and burger pairings. 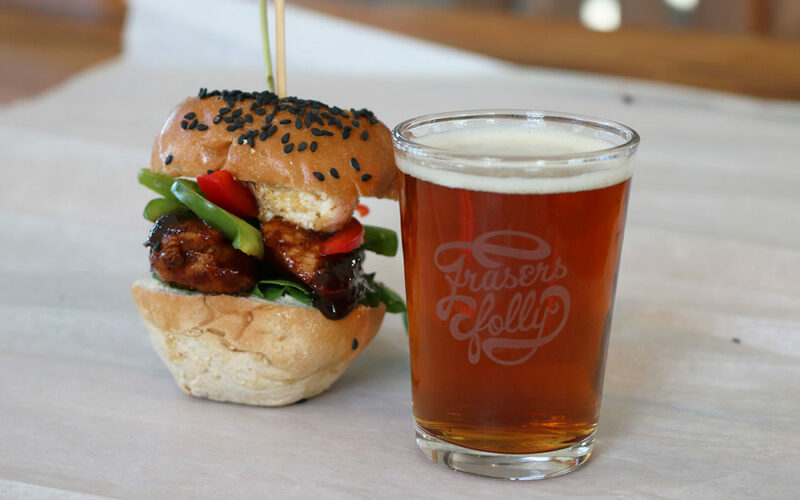 You’ll be able to buy these burgers (made with the freshest ingredients) throughout the festive season at the Black Oystercatcher Restaurant, with your favourite Fraser’s Folly beer. But we know that not everyone can make it out to the Overberg countryside, to experience the combo. So instead, we’re bringing the burgers to you. The Black Oystercatcher Kitchen team shares their awesome burger recipes – so you can make these at home.